Since Maxwell and Faraday found their home through social media, I have been blessed to be able to see photos of them, and their mom messages me from time to time on how they are doing. I must admit their adjustment went far better than I expected it to be. I can only do my best for them while they are here, and they took so long to 'turn' into friendly cats that I feared going into a new home with other cats and a dog would give them a huge setback. I really need to learn to trust in the kittens.. they really are like little rubber bands in more ways than one. Faraday's name didn't work well with his new family, so they spent some time and came up with a new one for him that works, and he is now Ducky. I can't say I'm displeased with that since I love rubber duckies, I like Ducky from Pretty in Pink and from NCIS. 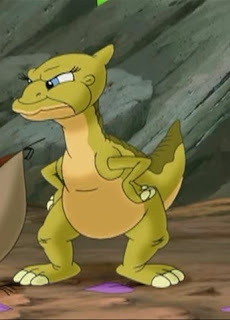 However Ducky got his name from the Dinosaurs movies.. Yup, can't disagree with that choice in the least. I recently asked their mom to write up a little update so I could do a "Former Foster Friday" post for them. Maxwell and Ducky, formerly Faraday, have come a long way in the past month. Starting out they were very shy and spent most of their time under the couch. They would come out for meals, and we could coax them out with toys, but the rest of the time they were out of sight. Moving from their special kitten suite into our home with a curious boxer and 2 older brother cats was a bit overwhelming. But with time, they gained confidence and together took over the house. They have turned out to be very loving kitties. Maxwell goes from lap to lap in the evening so we all have a chance to give him some attention. And Ducky climbs up and head butts us to get out attention, purring while he does this. They're great buddies, playing, exploring, and sleeping together. They are a wonderful addition to our family here on the island. It's been a while since we've had a pair of kittens. These are the first 2 that actually came with instructions in the packet from the shelter. The boys have gotten very accustomed to having 4 square meals a day, and are the hungriest cats I've ever seen. Maybe it's because of their rough beginning and not having their mom around for long. They wait on the mat in front of the stove next to the cat bowls, and as soon as I make a motion to fill their bowls, they're talking and pacing and practically tumble over each other as I put the food down. And Ducky still growls when he eats. Once their bellies are full, they'll settle down and nap. They're on the lookout for a sunny warm spot to crash, on the table or arm of the couch. Inevitably one will wake before the other and start licking the other just before the biting starts, leading to a wrestling match. They are live entertainment for the rest of us. Thank you Kathleen, for sharing them with me, and with us. I'm so glad Maxwell and Ducky's human checked in and gave us an update - it sounds like they are doing great! Squee! Wonder what they thought of the lobsters? mol... sounds like they are giving the good life! Oh it's so good to get updates, and I'm glad these two are doing well. What a couple of cuties. So glad to see them doing well. Wow! What a great success! These two are so cute and clearly love each other. I'm so glad they're with such a wonderful family! What a great post! We love to the updates on the boys. Ducky is so fitting! Thank you so much for the updates. It really is good to see them from time to time.. They sure have made great progress and I'm so glad they have each other. Hope their sister got adopted and doing well, too. You did good, Connie. Wonderful update. They are absolutely adorable and I thrilled they've found their forever home. That is just darling. I love seeing cats snuggle since ours never seem to want to, except with the dog, and that makes her nervous. ;P - Alana. Oh my... this is just the sweetest thing. What a heartwarming way to start our day!!! What a wonderful update. Those pictures of them cuddling together are too cute. They really have come such a long way since when you first brought them home! So glad they have a wonderful family. Oh how this warms our hearts! So great to see an update and so happy they have each other and a wonderful forever home!